The next phase of reform to the Horserace Betting Levy – British racing’s central income from betting activity – has made a significant step forward today. Agreement has been reached between British racing’s tripartite bodies regarding the structure of the new Racing Authority, which is set to take over responsibility for Levy distribution from April 2019. The agreement also represents a further important landmark in British racing’s key stakeholders working collectively for the benefit of the wider industry. Under UK Government proposals to “reduce financial and administrative burdens on the betting and horseracing industries” which were consulted on earlier this year, the Horserace Betting Levy Board (HBLB) – a Government Non-Departmental body – will be abolished in April 2019. Its responsibilities for collecting the Levy will transfer to the UK Gambling Commission, while distribution of the Levy will be carried out by the Racing Authority. 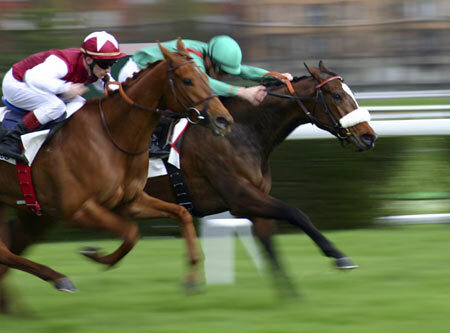 The key roles of the Racing Authority will be to implement and give effect to the policy and strategy for racing’s central funding set by its Members; distribute the funds fairly and transparently in accordance with this policy; funding growth; consultation with the betting industry and wider stakeholders and the growth of the racing product. In the short term, it will also work closely with the Department for Digital, Culture, Media and Sport (DCMS), HBLB and Gambling Commission to ensure a smooth transition into the new arrangements. The second phase of Levy reform offers further important efficiencies for British racing and will allow the industry to fully unlock the potential of increased Levy receipts from last April’s extension to remote betting operators. While Levy income for 2017/18 has not been fully finalised, current indications suggest that receipts will exceed £90 million and possibly reach £95 million. The Racing Authority Board – which has been meeting in Shadow form since August 2017 – is fully representative of the British racing industry’s tripartite governance structure to ensure that appropriate opportunities for representation are provided to all elements of the British thoroughbred racing and breeding industry, and consultation with wider industries. There are also two Independent appointees to the Board, including Chairman Sir Hugh Robertson (a former Minister for Sport and Chairman of the British Olympic Association), to support improved decision making. "Today sees a significant step forward for British Racing." "I have been very encouraged to see how well the Authority’s new Board is working together to agree spending priorities."